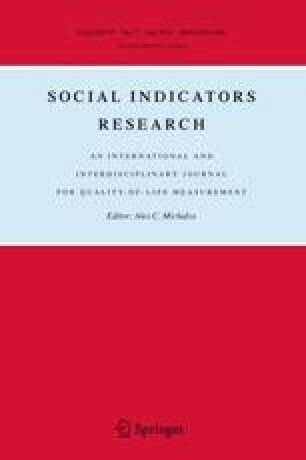 This analysis uses data from the German Socio-Economic Panel and the Survey on Health, Ageing and Retirement in Europe to assess the effect of ageing and health on the life satisfaction of the oldest old (defined as 75 and older). We observe a U-shaped relationship between age and levels of life satisfaction for individuals aged between 16 and 65. Thereafter, life satisfaction declines rapidly and the lowest absolute levels of life satisfaction are recorded for the oldest old. This decline is primarily attributable to low levels of perceived health. Once cohort effects are also controlled for, life satisfaction remains relatively constant across the lifespan. The data used in this publication were made available by the German Institute for Economic Research (DIW), Berlin, and through release 2 of SHARE 2004. The SHARE data collection was funded primarily by the European Commission through the fifth framework programme. Additional funding came from the U.S. National Institute on Ageing. Further support by the European Commission through the sixth framework program is gratefully acknowledged. For methodological details, see Börsch-Supan and Jürges (2005). This paper has been presented at the 8th International Socio-Economic Panel User Conference in Berlin (July 9–11, 2008), XXII Annual Conference of the European Society for Population Economics in London (June 19–21, 2008) and at the Spring Conference of the DGH in Muenster (April 3–6, 2008). The authors would like to thank the participants of these conferences as well as David Bell, Rainer Hufnagel, Andrew Oswald, Yu Zhu and Justina Fischer for valuable comments and discussions. Renter of house, flat, etc. Schilling, O. K. (2003). Längsschnittliche Analysen zur Entwicklung der Zufriedenheit im höheren Lebensalter. Doctoral dissertation, University of Heidelberg. http://www.ub.uni-heidelberg.de/archiv/4578.